Many people will tell you that Roulette is a game of chance. And they’d be absolutely correct. 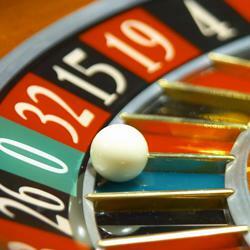 Unlike other table games (specifically those with cards), the outcome of a given Roulette spin is completely random. Therefore, strategy is derived not from the gameplay but from the system that one uses to wager bets. Since Roulette’s inception in 18th century France, a number of different strategies have cropped up, some better than others, but all designed to decrease the house-edge and give a player a winning chance. Many of these systems incorporate mathematical principles which sometimes make gamblers wary (especially if you’re like me and are terrible at math). However, if the strategies are put in a proper concrete context, they can be grasped by anyone. One of these is called the Fibonacci strategy, taken from Italian mathematician, and follows his famous sequence: every number in the sequence is the sum of the previous two numbers. In Roulette, it functions accordingly; a bet is made on red or black. If you win, the sequence ends and you start over. If you lose, you start a line with the first number – 1. Every time you win afterwards, cross out the last two numbers and make your next bet equal to their sum. Simple, right? The table below shows a hypothetical outcome. Developed early on, the Martingale strategy is probably one of the most popular, and easiest, strategies that Roulette players use, whether they’re advanced or beginner. The strategy originally involved the outcomes of a coin flipped heads or tails, but since Roulette also functions on a 50% chance principle, the same methods can apply. It involves betting a wager on red or black, and if you win, continue with that wager. If you lose, increase the wager by twice its amount. In this way, any losses made will be accounted for with a subsequent win. Another method for you literature and film buffs is the James Bond strategy. With the same class and distinction you’d expect from a world-renowned spy, this strategy requires a bit more money, and should only be attempted when you’ve already won a few spins and have the excess money to withstand a loss. Essentially it involves betting $140 on high numbers (19-36) and $50 on six numbers (13-8), plus $10 on zero. The high stakes means a generous payout if your number comes up (time to order a martini, shaken not stirred), and a bit of a blow to the wallet if you lose. If you lose, it’s best to raise your bets according to the Martingale strategy. Although these three are well known, there are many different strategies to Roulette, and your decision on which to employ should reflect both your skill, your knowledge of the probabilities, and of course, what you are willing to wager.